Seattle could use more ice rinks. The NHL’s arrival should help. Former NHL defenseman Jamie Huscroft says the area's ice time is jam-packed, highlighting the need for more rinks. Fortunately, an NHL franchise would bring at least a few more rinks to the area, cutting down on the notoriously long commutes for youth players. Judging by hockey-fight videos posted on YouTube, the last guys you’d expect former NHL defenseman Jamie Huscroft to go off fishing with would be Marty McSorley and Owen Nolan. But where the trio of opposing tough guys once punched and bloodied each other into submission on the ice, they’re casting rods together on the Haida Gwaii islands in Huscroft’s native British Columbia this week at a charity tournament to benefit Seattle youth hockey. Another major change for Huscroft, 51, the former Seattle Thunderbirds junior star who played 352 regular season NHL games with New Jersey, Boston, Calgary, Tampa Bay, Washington, Vancouver and Phoenix through 1999-2000, is how he earns his living. As director of operations for the non-profit Sno-King Ice Sports, Huscroft now manages indoor hockey rinks instead of playing – and sometimes fighting – on them. And in Seattle, the battle for ice time can be just as fierce as any fists McSorley or Nolan once hurled at Huscroft’s face. The expected September announcement of an NHL expansion franchise for Seattle – to begin play in October 2020 — should start to ease that congestion. The NHL Seattle group, headed by Tod Leiweke, is drawing up plans for a training facility that would contain three new indoor rinks. Three or four hours of daily practice time would be blocked at one of the rinks for the Seattle team and its opponent. But everything else would be up for grabs. Tippett said the group has yet to finalize the facility’s location, though it’s been narrowed to three potential sites. 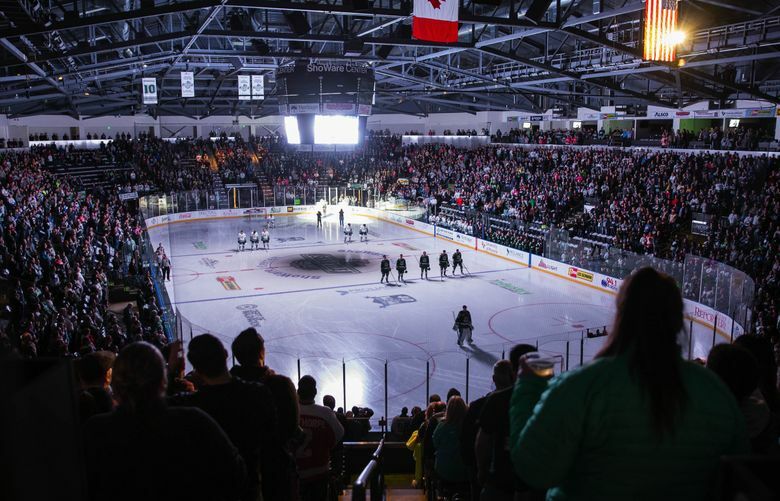 The high cost of real estate locally has stymied efforts to build more rinks to accommodate pent-up hockey demand here. By adding three new ones, the future NHL team could help cut the notorious commute time long endured by Seattle area parents taking their developing youngsters to practice. Washington Capitals star T.J. Oshie used to travel an hour each way in traffic to get from his home in Stanwood to the Seattle Skating Club in Mountlake Terrace as a young teenager. And while the NHL training facility wouldn’t necessarily have helped Oshie directly, it’s a start. At the very least, having tournaments played at the new venue would free up ice time at more distant rinks. The good news is, the shortage of ice makes it easier for guys like Huscroft to manage a successful business. Huscroft said a profitable rink requires a full schedule of youth and adult hockey as well as figure skating programs and public skating hours. He isn’t worried about the NHL training facility hurting local rinks, namely because of the supply issue and discussions he’s had with Leiweke’s group. Instead, he added, the group wants to build a base of support so the sport can grow. The NHL believes that adding rinks to any market is key to that growth – having seen hockey participation numbers more than double in Texas and Florida since franchises built new ice facilities there starting in the 1990s. The league’s most recent collective bargaining agreement from January 2013 committed up to $60 million annually to an Industry Growth Fund (IGF) earmarked for various projects to boost long-term revenue. Individual teams can apply for funding and a majority them have done so, with more than $15 million given for rink development projects alone thus far. A new training facility in Seattle would cost between $30 million and $50 million. Some of that could be offset by IGF funding once a Seattle franchise is officially awarded. For Huscroft, who met his wife here as a junior player and returned once his NHL days were done, managing rinks is “a dream job” offered him about 15 years ago. He’d been coaching Sno-King youth programs at the time and still gets on the ice regularly with young players when not too busy. Even if playing ice rink traffic cop gets a tad hectic at times. When you’ve gone blow-by-blow with enforcers like McSorley and Nolan, you can handle some impatient ice seekers. And wait for the NHL team to start helping.